"Why is Jesus holding a machine gun?" "Maybe it's part of his therapy." Who of us has not contemplated the possibility of receiving a letter in emerald-green ink on our eleventh birthday, or perhaps opening a dusty wardrobe to find a door to an enchanted world? These were our secret childhood dreams. We knew that these things could not happen and yet we still pined for a hint of magic in the world. For Quentin Coldwater, this hope never fades. Even in his senior year, weighed down with the pressure of college applications, he yearns for the world of Fillory, an enchanted alternate dimension described in a children's book. When he receives a mysterious notebook from a paramedic that leads him onto the grounds of Brakebills, the only magical university in North America, he feels that his dreams have at last been fulfilled. Quentin rigorously studies physical magic. However, as time passes he gradually sinks back into depression, binge drinking and forlornly wondering where his happiness went, in the midst of his own magical empire! Innovative and traditional at the same time, Lev Grossman explores the themes of classical series like Narnia and Harry Potter but puts his own distinctive stamp on the genre. Quen­tin's quest to find himself through magic is grueling and vividly real. This protagonist is filled with human weakness and temptation, doubts and confusion. 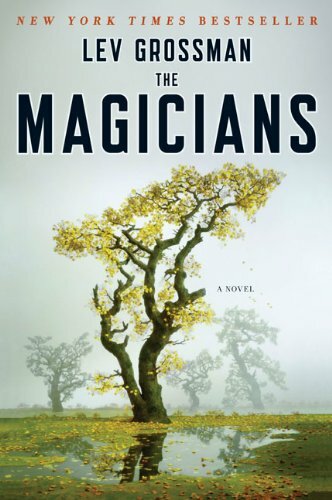 The Magicians paints magic in a surprisingly down-to-earth way, with charts to memorize and exceptions to mind. As much as I enjoy fantasy literature, no other book has adequately defined the method behind the madness of the magical craft or questioned the apparently distinct line between good and evil. Quentin wrestles with himself to determine which side he is ultimately on, and his constant struggle is just as engrossing as Harry's valiant defense of good, if not more. Quentin's fate cannot be considered a traditional happily-ever-after, but it is his journey there that will grip readers and keep them racing through the pages of this magnificent piece of literature. I REALLLY want to read this now!! :D Great review! Hey, have you ever heard of Jonathan Strange and Mr Norrell?